As a small, private client firm with a huge variation in matter types and client circumstances we are unable to provide meaningful costs information relating to our conveyancing and probate work on this website. In order to provide such information, we first need to see the client and discuss the precise nature and extent of the work likely to be required. Costs information will then be incorporated into our client care documentation. Stephen Paul Rathbone Wilde established Wilde & Co Solicitors in 1991, having qualified as a solicitor in 1974. Stephen specialises in all aspects of private client work. Christine Dickinson is a solicitor and director at Wilde & Co Solicitors. Christine qualified as a solicitor in 1982 and specialises in wills, probate and lasting powers of attorney. 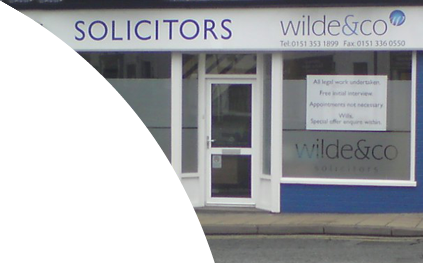 Richard Stanton is a solicitor and director at Wilde & Co Solicitors. Richard qualified as a solicitor in 2007. Richard deals with private client work, property transactions and family law. Benjamin Wilde is a Residential Conveyancing assistant with more than 5 years’ experience and prior experience of the property sector in estate agencies and property management firms.